China's largest national forest park has reopened to the public after being closed for the last six years, thepaper.cn reported on Wednesday. The Wawu Shan National Forest Park in Meishan, 180 kilometers away from Chengdu city in Sichuan province, it home to the world's second-largest table mountain. "The view of the Wawu Shan table mountain is even better than God's dining table," said National Geographic of China magazine. It is also said to be one of the birthplaces of Taoism. No more than 3,500 people per day are allowed to visit the site, in order to protect its natural environment. 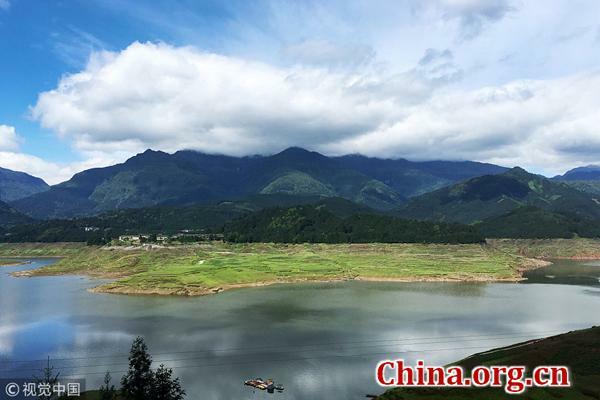 Tourists can visit a variety of scenic spots in the park, such as Yanu Lake, Lanxi Waterfall, Shuangdong Brook, and Yuanyang Lake. China's largest national forest park has reopened to the public after being closed for the last six years.